October 17th, marked arguably the most stressful day of the entire project, as we awaited the results from the city council meeting that was held with our community partner, Sole Food. By late afternoon on the 17th, we were excited upon hearing the good news that Sole Food had obtained the permit to the new location. We were anxious and eager to finally begin the project after planning for a good month and a half. To prepare for the filming portion, we created a storyboard that allowed us to compile ideas on the shots we would like to acquire for the film. The storyboard proved to be handy as it provided us with a platform to record our ideas before they escaped from us. Minor setbacks and issues with the development permit caused a slight delay, but the move officially began on November 8th. We visited the site for our first shoot on November 6th to capture the ‘before’ phase as well as some shots of the preparations in process. Over the next two weeks, our film and audio experts Spencer Cain and Andy Lang Wong, made numerous trips to the old and new farm to capture the ‘during’ phase, in addition to the interviews. The move was finally completed on November 21st, and despite the poor weather, we obtained the last shots we needed for our film. The approval of the permit was the climax of our journey thus far. As the objective of our project was to document the first ever relocation of an urban farm, this event became the determining factor as to whether we would have a project to film and present. If things had not gone as planned, we would have needed to start anew and change our focus to documenting how the move had not come to be. We had acknowledged the uncertainty at the beginning of our project and consulted with Matt Johnstone for a back-up plan. Although we had a plan B prepared, we were all rooting and hoping for the approval of the relocation. The approval meant more to us than just having another project to submit for marks. It meant we were able to participate in a project in which its purpose is what captured our interests and stood out from the many other great projects that were offered at the beginning of the term. The uncertainty does not end here. At the beginning, we were notified that if all goes as planned, the move should commence sometime early to mid-November, and completed at the latest on November 24th, when the lease to their current location terminates. This became a pressing concern as the move would occur near the end of our semester. If the move had lasted until the 24th, we would have had very little time to edit the video, as well as to develop an infographic for the presentation that will occur on November 29th. If the worst was to come, we believed making the deadlines would still be possible, but the quality of the final products may have been compromised. We have discussed this matter with our T.A. as well as our professor, and they were kind enough to allow a later submission. However, despite the leniency of the due date, the timeline remains an issue as our project is pushed back later into the term. November is a hectic month for many of us students, as the end of the semester draws near, so do the many projects and assignments we may have in our other courses. Although the pressure of managing multiple projects and assignments at a time should be no foreign experience for many students, the consequences this time is different in which it affects not only ourselves but our community partner as well. Now that we have acquired all our raw footage and data, all that remains at this point in our journey, is to process our findings to present to the public and bring closure to the project. Editing of the film is already underway, and a draft of our infographic has been completed and submitted to be reviewed for possible improvements. As the deadlines draw near, we used the “divide and conquer” technique to overcome the time constraints while maximizing the quality of our final products. We believe this would be the optimal approach to produce the best results by assigning responsibilities based on each members’ strengths. However, one consequence of using the “divide and conquer” technique is the lack of coherency. Communication here is key to unify all concepts and ideas throughout the three representations that we will be producing. “Uncertainty”, probably the one word that has come up the most often in this course, has been a prominent theme/emotion we have encountered in this project. Staying positive and embracing uncertainty has been the driving force that pulled us through this far into our journey. Although many of us dislike the slightest of uncertainty in our lives, it is definitely one thing that will always be present. This course and this project has provided us a snapshot at what we may face in our future, whether that may be in our personal lives or in our careers. We must now take what we have learned and continue embracing the uncertainties that has yet to come such as technological issues (knock on wood), and watch as our project come to completion. We decided to plot our emotions (blue), skills (green), and knowledge (red) on a graph that had both positive and negative values to accommodate the wide range of emotions in our group. Points above the x-axis represent positive states and any points below the axis represent the negative states. Initially our group’s emotions were high at the start of the school year, but as indicated by the peaks and troughs, stress, assignments, and various personal issues have changed emotional states in the last 9 weeks of school. Although one thing is certain, we are excited to finish the project as well as the school year. After grouping all of our graphs onto one piece of paper we realized that all of us share a lot in common with each other. This exercise strengthened our groups understanding of one another and the tough realities we all face on a day-to-day basis. It was interesting to learn why some group members were down in some weeks as we had a chance to discuss and help to address some issues. If anything, this exercise proved the importance that though we are all people and we all are different, together we can overcome any obstacle. As seen by our graph, the overall trend has been an exponential increase in skills. This has been due to guidance from lectures, our TA Wilson, and our fellow peer’s support. As we have progressed in the course so far, our blogging skills have increased dramatically since the first blog post. One crucial skill that our group has demonstrated time and time again has been effective communication. Our main means of communication has been over a Facebook group chat. Participation in the group chat has been great, for example, if we need to meet up and discuss our project or need someone to post his or her work for us there is usually a quick response time. Our communication skills with one another, and our community partner has been one of the most important skills that have developed since the start of the term back in September. Our group’s knowledge has been in flux. Some areas of lecture we had high levels of knowledge and in others we had a negative state because some of us had never been exposed to those ways of knowing. Individually, we all have different backgrounds in the Faculty of Land and Food systems. It has been noteworthy, that in all our respective programs, we all have unique and important knowledge that can be applied to our community project, but also the LFS 350 course in general. Group discussions on weekly readings and the project in general are also beneficial. With so many different perspectives on issues and the complications that arise from them, we have all contributed to our peer’s knowledge and dramatically improved one another’s perspectives as well as ways of knowing. We believe this is reflected in the graph we plotted regarding our overall increase in knowledge. Our group is currently in week 9 which means we have roughly 25 days until our final project presentation date. With the move of Sole Foods beginning on the 6th of November and tentatively concluding on the 17th of November, this gives us roughly 1.5 weeks after the move to compile our footage to complete the video, and create our presentation and poster. To complete the video, we must take all of our footage from before, during, and after the move and perform editing on it. The editing will be done mostly by Andy. Once the initial editing has been completed we will consult Matt Johnstone with our first draft and then edit accordingly. Once our video is completed, we will present it to the Sole Food Street Farm community and reflect upon their feedback presented to us. Our final interaction with Matt and Sole Foods will be a final one-on-one interview with Matt to reflect upon how we did, how he feels the project went, and what could’ve been improved on in the process. To create our poster and final presentation, we will reference our video and reflect upon the entire process undergone throughout the semester. We will be using a PowerPoint presentation to develop the poster, and will use the printing services available on UBC campus. We will present the poster in a format resembling a scientific paper: introduction, methods, results, discussion, conclusion. When we present our poster at the AMS Student nest on the 29th of November, we will be presenting our poster along with the video that we created displaying the move of Sole Foods, playing on loop so spectators can see the process of the move in full swing while hearing from the employees of Sole Foods. Following these steps, we will successfully and gracefully dismount from our community-based experiential learning project with Sole Foods. Our goals in concluding the project are to have an understanding and seamless representation of how to move an urban farm within a bustling metropolis; and to have a clear, concise poster to present to interested peers at the University of British Columbia on the process of moving an Urban Street Farm. Retrieved from: solefoodfarms.com, Oct. 18, 2017. Below is the link to our Project Proposal for the move of Sole Food Urban Farm. Make contact with our community partner and outline the components of the project and expected outcomes. 3. What? So What? Now What? The most significant moment in our project so far has been the creation of our project proposal, as it has both forecasted the dynamics and efficiency of our group, while allowing us create an initial timeline and narrow the focus of our final report. From the beginning of our project proposal, our LFS 350 group had no difficulties collaborating together to formalize multiple viewpoints and perspectives into one cohesive message. However, our project has many potential aspects that we could choose to cover, and it was very important to identify only a few main factors to focus on in our final report, and to highlight the interviews that will be the most beneficial to our topic. All group members have brought, in one form or another, unique and insightful perspectives for the project. This has allowed for easy communication and dialogue amongst peers resulting in a more productive and efficient work. Tutorial exercises such as “tell a story as a group” have really strengthened our ability to work together and contributed to general group cohesion. The highlighting of our main themes has allowed us to maximize efficiency and time, and prevented us from losing focus or attempting to cram excessive information into our reports. It has also allowed us to identify who we will be interviewing, and has helped us begin to formulate questions for them. We believe that this progress will help greatly in the busy upcoming weeks in which we will be conducting interviews, filming, editing and balancing other course work. One small problem our group faced from the beginning and is facing us still, has been to get in contact with our busy community member. However, we understand the complexities and inherently busy nature that a large Urban farm like Sole Foods creates. Despite setbacks, morale remains high among the group with anticipations of interviews around the corner, and a chance to view local governance at City hall on the 17th of October. We remain optimistic and prepared for challenges in the foreseeable future of this project. Our group has successfully created a comprehensive proposal, which outlines the work that we have to do over the following weeks, and gives an idea of the dates and timeline of our project. Currently the group is behind on our story board; however, we hope to finish the midterm season and start work on the story board immediately. Retrieved from: youngagrarians.org, Oct. 18, 2017. Objective 1: Get footage and interviews of the City of Vancouver permits and land lease procedures. Objective 2: Interview members affiliated with Sole Foods (before move). -Conduct the interviews with 3 members of the farm (will first collaborate with Matt Johnstone to identify which members are best to speak to). Yev will select and make contact with the interviewees before-hand. Objective 3: Get footage of the current setup and location of the farm (before move). Objective 4: Document the day of the move (the move). Objective 5: Interview members affiliated with Sole foods; how has this move affected them (after move). -Interview the same 3 members of the farm as before; focus on how the move went; how they feel about the move now that it has happened. Yev will make contact with the interviewees before-hand. Objective 6: Edit the footage collected and compile into a video. My name is Yevgeni Petukhov, I come from a very small town in the south-eastern corner of Saskatchewan. 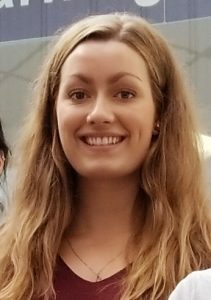 I am currently in my third year of study at UBC Vancouver and am studying nutrition. My main drive in pursuing my degree is a love for personal nutrition, and the individual based assessment of clients in the aim to better their quality of life. The Sole Food Street Farm spiked my interest because I am very curious to view the processes involved in the production and delivery of their artisan quality foods to the surrounding neighborhoods, as well as the maintenance of the whole urban farm operation. 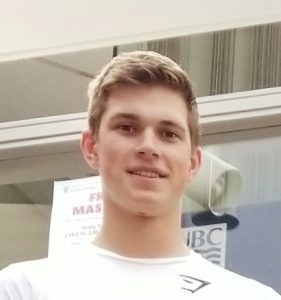 I am your local CBC who grew up in the suburban city Coquitlam, and during my last two years of high school, my family and I decided to move to Vancouver. Some hobbies of mine include eating, sleeping and repeat, which may have influenced my decision to dedicate four years of studies about food and its impact on us. My interests in food are more skewed towards the science side, but it was through LFS that I was made aware of the issues surrounding food not only on a global scale, but in my community as well. For this reason, I was drawn to the project with Sole Foods, where I can step outside my field and share what I have learned about urban farms and food sustainability through a new medium I have never worked with before. I have a wide variety of interests ranging from athletics, to nutrition, to farming and animals in rural and urban settings. I grew up on a small farm in Armstrong, BC where rural farming is a common practice with many family owned farms ranging from large dairy productions to small 30 acre herb farms. I grew up on a 50 acre farm that mainly produces spelt grain and straw to be sold in the community along with raising sheep, small herb production, and vegetable gardens. 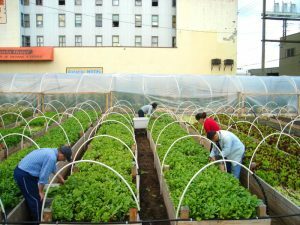 I am interested in assisting Sole Foods move their urban farm because I would like to better understand how they compare to rural farms and how they differ. 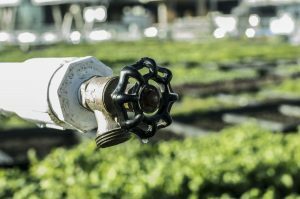 I am interested to see how they deal with issues such as water supply and restrictions, how they maintain soil nutrient levels in such restricted growing areas, and how they overcome space restrictions, etc. 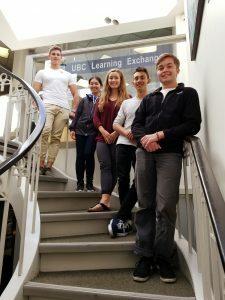 I am a local Vancouverite in my third year at UBC. 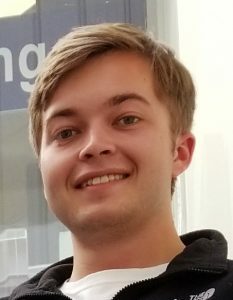 I am currently studying Food and the Environment as both the individual topics of food and the environment have been important to me for a majority of my life. 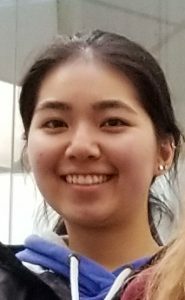 I am a half Chinese, half a European mixture who grew up in a very liberal neighborhood of east Vancouver surrounded by farmers markets and organic things. My family has always valued local, organic foods for both their quality and minimized impact on the environment. My love for the environment stems from my hobbies such as skiing, hiking and climbing; all of which showcase the natural beauty that I hope to help preserve. My goal is to integrate sustainability with food security and sovereignty in North America. I am interested in this project as I hope to gain a better idea of the realities of dealing with food policy, funding, and the other complexities of urban agriculture. I’m an American studying in Vancouver, but I’ve spent 15 years of my life living in the Middle East. While living overseas I’ve had numerous interactions with people from all corners of the planet as well as being emerged in a culture entirely different from my own parents’. I came to British Columbia bright eyed and bushy tailed to learn and immerse myself in north-American culture. From this move I realized that I was curious the most about the rain and water in the area of Vancouver. Coming from a semi-arid environment to arguably one of the wettest places on the planet left me with more questions than I had answers for. From my own curiosity I developed a passion for is hydrology- the study of water on our planet. Aside from water, my deepest passion is for photography and capture life as well as more specifically the change that occurs around us. 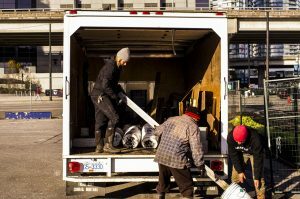 I am interested in assisting Sole Food’s move their urban farm because I am interested in the water budget that they need to grow food in an urban setting as well as if/how they comply with the City of Vancouver’s water policies. Assisting sole foods with their move ties into my other passion of photography and documenting change, and hopefully from this we can effectively capture this process and apply it for future moves and/or grants in the future. The members of our group come from a diverse set of academic focuses and backgrounds; each bringing our individual knowledge and passion to this project. Our fields of interests include urban nutrition, urban agriculture, sustainable agriculture, policy, and water management. We believe that our diversity will be beneficial when dealing with a complex and multifaceted organization like Sole Foods. 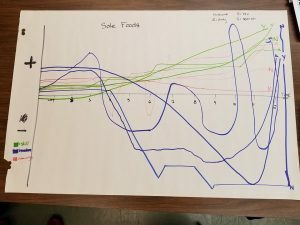 Sole foods deals with many connected factors, both social and technical: drawing the interest of each group member for a different reason. However, we all share interest in Sole Foods as they are a leader in the field of urban agriculture with one of the largest urban farm networks in North America. 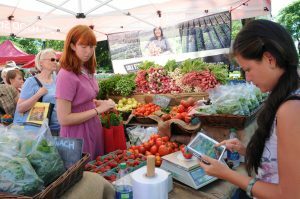 The documentation of ‘The Big Move’ is a chance to join the front lines of an exciting organization that is part of a larger movement, and to truly become entangled in the complexities of the modern food system that we have been studying in class. We also hope that the experience of leaving the classroom to observe the intricacies and challenges that emerge in complicated policy situations will aid us in better understanding our food system. Working alongside an active community organization is a fantastic opportunity, and our experiences in LFS 350 will hopefully enlighten us in engaging with local communities, conducting interview-based research, and experiencing the challenges and rewards of working in the field. 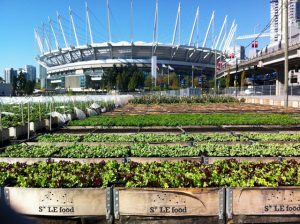 Sole Food Street Farms have been in place in Vancouver since 2008. 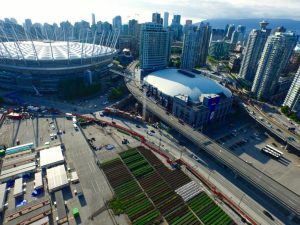 There are currently 4 farms dispersed amongst metropolitan Vancouver with the biggest farm located on the corner of Pacific and Carrall. What Sole Foods aims to achieve is a sustainable, urban farm that provides jobs to those who struggle with getting employment, as well fueling the movement towards more locally grown produce. 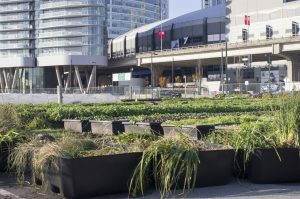 The farm focuses on Vancouver’s downtown east side where it is known worldwide to have an ever-growing population of homeless and substance-addicted people. The farm provides jobs for those people and provides second chances with aims to help get them back on their feet and to help them along on their road to recovery. 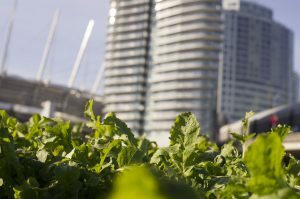 Sole foods have a very high quality of foods grown which makes their produce a hot commodity to high end restaurants and eating establishments in Vancouver. The high quality of the produce means that the food is not distributed to the downtown east-side, but the jobs that the farm has created are sourced to the inhabitants of the downtown east-side. 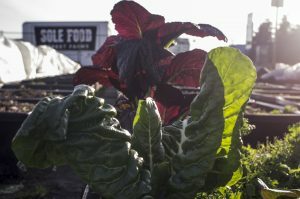 Being the first of its kind, Sole Foods believes this would be a great opportunity to document the process of relocating an urban farm through a visual and written medium. The goal of this project aims to not only showcase the physical aspects of the relocation, but also the topics behind the big move such as zoning, by-laws, city regulations and restrictions pertaining to urban farming. To do this we will be using videography to capture the physical component of the project, as well as conducting interviews and accompanying Sole Foods to a city council meeting. Through this project, we hope the end product will be used to inform the public in addition to serve as a guideline for future urban farm relocations, projects of the like, and future grants. On the side, we also hope to tap into the effects on the local community, and the employees of Sole Foods, who are the very soul of Sole Foods. Our eyes are focused on the success of Sole Foods obtaining the lease and permits, however due to the uncertainties that currently pertain to the move, if the series of events happen to steer a different path, we will proceed to document the journey and experience for future references. We would like to emphasize some of our first impressions regarding the community project in its entirety. We will then discuss how we believe going directly to the community for insight is better than wasting time relying on surveys and biased peoples of other communities to attempt to give us information regarding a separate community we will actually be completing work in. Our group enjoyed talking with Matt Johnstone regarding the project because we were getting the information directly from the source regarding the needs of the community and how it will be affecting the community after the farm has been relocated. The move of Sole Foods seems like a very asset based community development (ABCD) project which relates to what we will have studied in LFS 350 and as a group we are excited to learn firsthand what that truly means. After speaking with Matt from Sole Foods our group was impressed with the amount of work that is required to make a seemingly simple thing such as ‘moving’ occur. 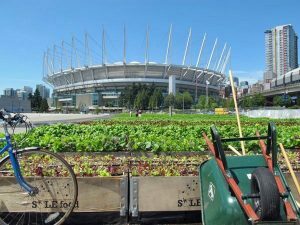 However, in order to move an urban farm in a city there are many steps required before the actual ‘moving’ can take place. Matt shared a few of these steps with us, for example, many regulations, permits, and bylaws had to be met and put in place in order for the move to even be possible. Hearing these things made our group realize that this will not be a simple task and that it is going to require a lot of effort and time commitment to actually make a difference for the community. 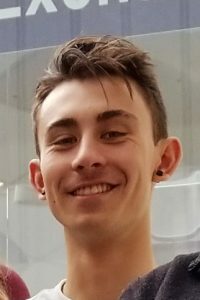 The project is going to be difficult not only with regard to all the prep work on Matt’s end but also on our end as we are all students with full course loads, many exams and other projects that require our attention. As a group we aim to give our full effort to the project and help as much as possible as it progresses forward. With regard to Ernest Sirolli’s Ted Talk and how Food Justice Interplays with our work we have the following. In the words of Ernesto Sirolli, “Want to help someone? Shut up and listen”. When our group met and talked with Matt directly we listened to him and asked questions accordingly. Matt was more than happy to inform us of his community and area as well as its strengths and weaknesses. Before meeting with Matt we hoped for an outcome and we got it. We sat and listened with the local of the East side, and discussed opportunity and strategy for the future of the project. Matt expressed his concerns and opinions very transparently and we were very touched by his honesty and him seeking help from us. Our intent was to not patronize nor mislead but the reaction and excitement we received in our talk was tenfold what we expected. After our discussion we realized that there are a lot of uncertainties that need to be accounted for, on top of that the five of us have full course loads and with midterms looming behind the first autumn rain there will be a lot to balance. Below is a link to the Sole Food’s website where you can find information about all of the main organizers and administrators, along with the history and the goals of Sole Foods as a company.